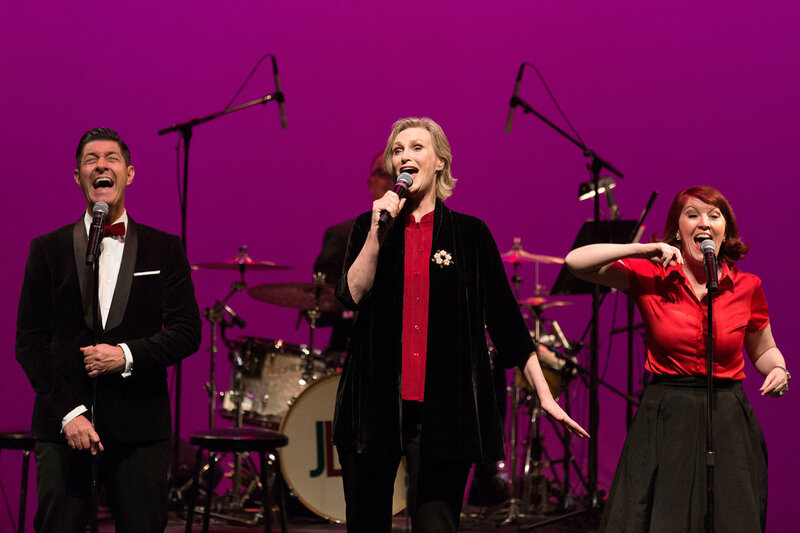 Jane Lynch: A Swingin' Little Christmas. Presented by The California Center for the Arts, Escondido. Quattrosound: A Holiday Show. Presented by The California Center for the Arts, Escondido. 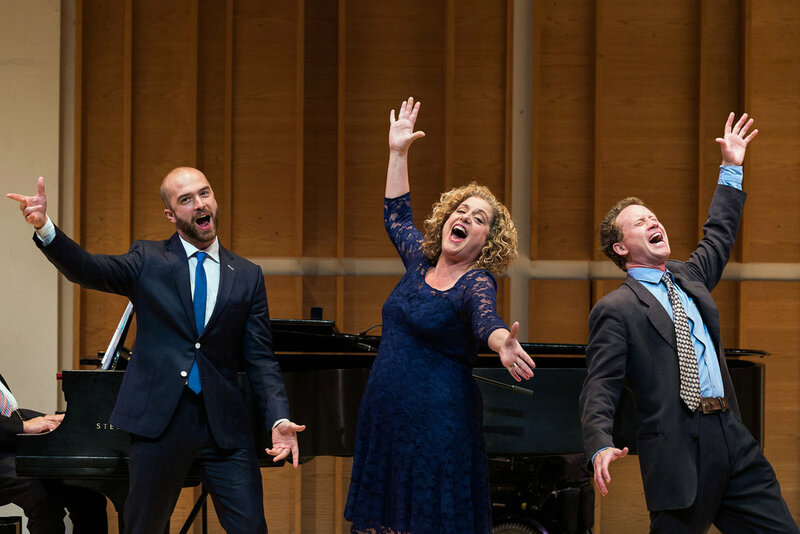 John Brancy, Mary Testa, and Hal Cazalet in New York Festival of Song’s Rodgers, Rodgers & Guettel. 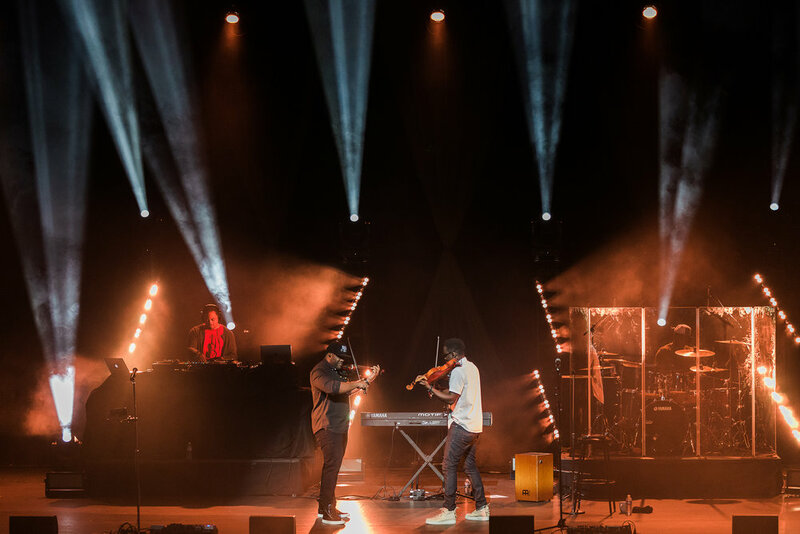 Black Violin: Classical Boom Tour. Presented by The California Center for the Arts, Escondido. Sidewalk Chalk performs at the Levitt Amp Escondido Music Series, presented by The California Center for the Arts, Escondido. 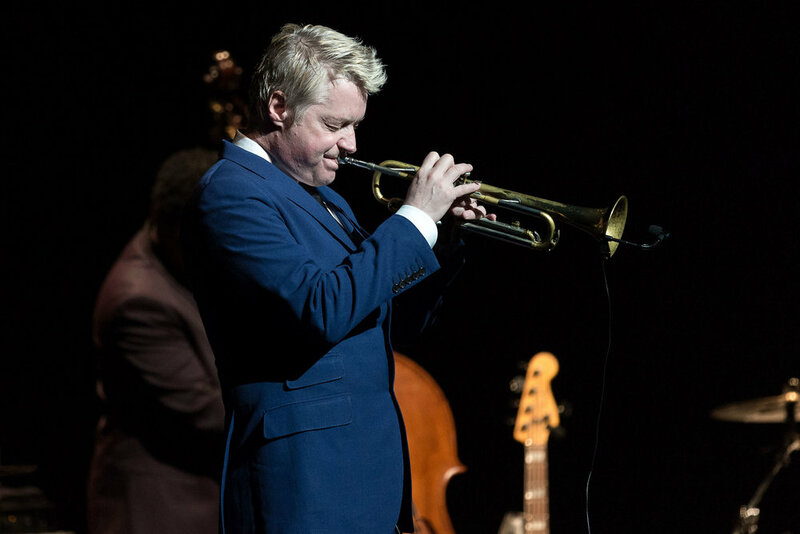 Chris Botti. Presented by The California Center for the Arts, Escondido. 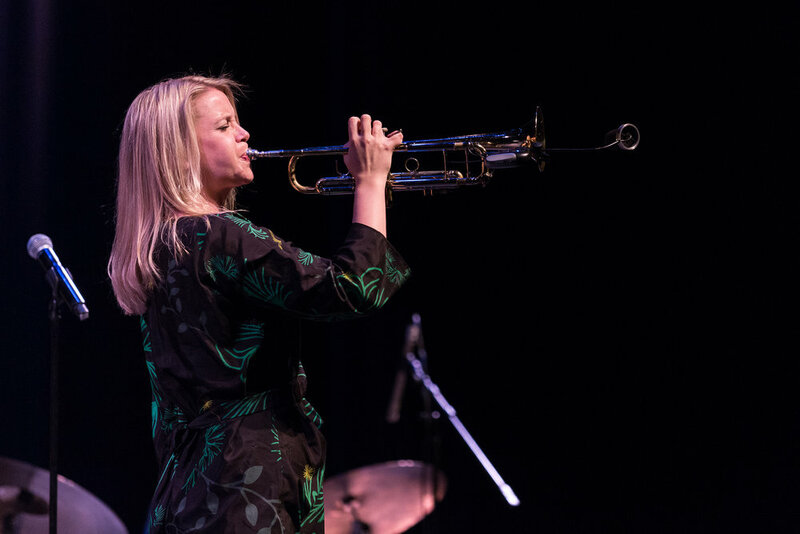 Brandy Zdan opens for Buddy Guy at The California Center for the Arts, Escondido. Wynonna Judd & The Big Noise. Presented by The California Center for the Arts, Escondido. 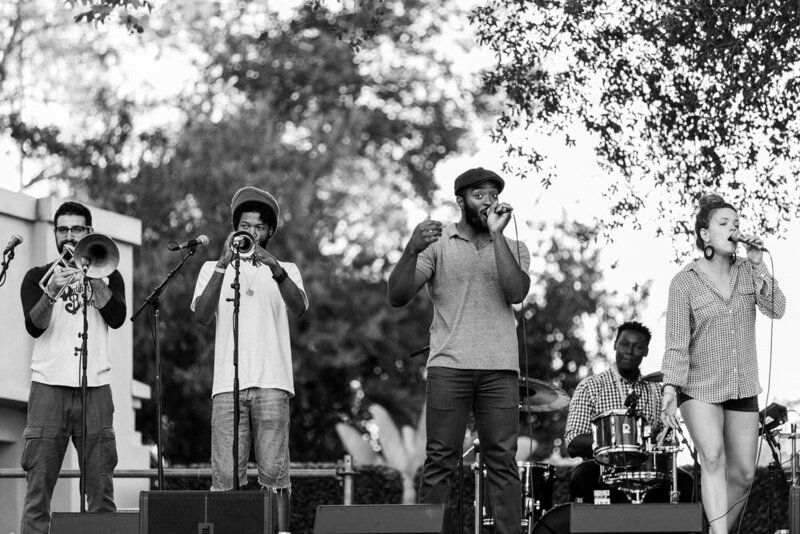 The Lyrical Groove perform at the Levitt Amp Escondido Music Series, presented by The California Center for the Arts, Escondido. The Best of Broadway. Presented by The California Center for the Arts, Escondido and the Barn Stage Company. Alice Wallace performs at the Levitt Amp Escondido Music Series, presented by The California Center for the Arts, Escondido. Buddy Guy. Presented by The California Center for the Arts, Escondido. Concert pianist Michelle Cann. Presented by The California Center for the Arts, Escondido. 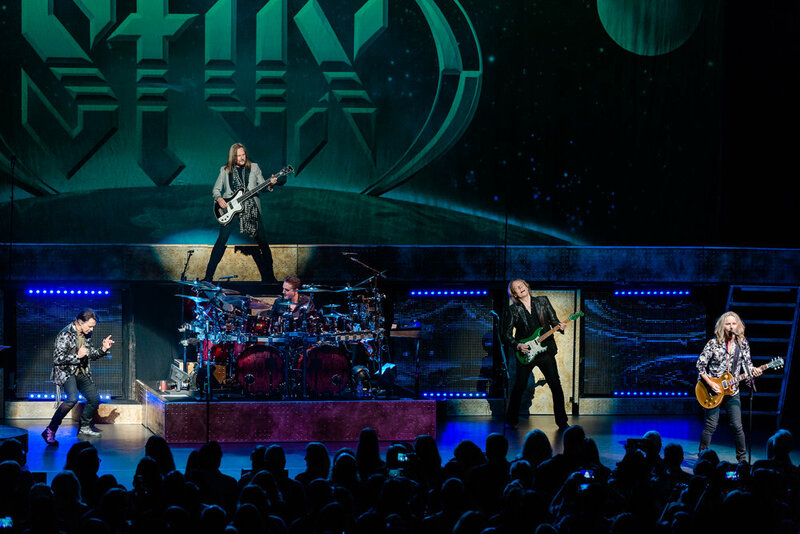 Styx. Presented by The California Center for the Arts, Escondido. Anthony “Fallbrook Kid” Cullins performs at the Levitt Amp Escondido Music Series, presented by The California Center for the Arts, Escondido. Bria Skonberg. Presented by The California Center for the Arts, Escondido. Lucia Micarelli. Presented by The California Center for the Arts, Escondido. 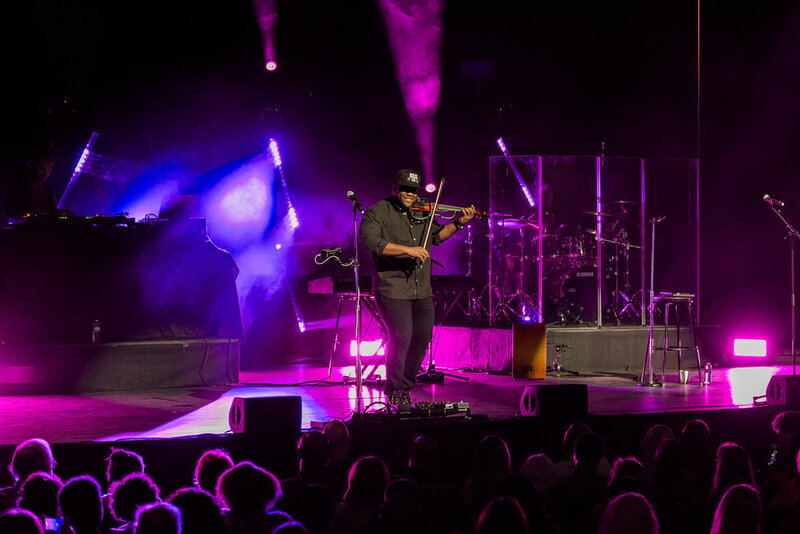 Cellist Tina Guo performs with the San Diego Civic Youth Orchestra. Presented by The California Center for the Arts, Escondido. The music of Mendelssohn and Brahms. 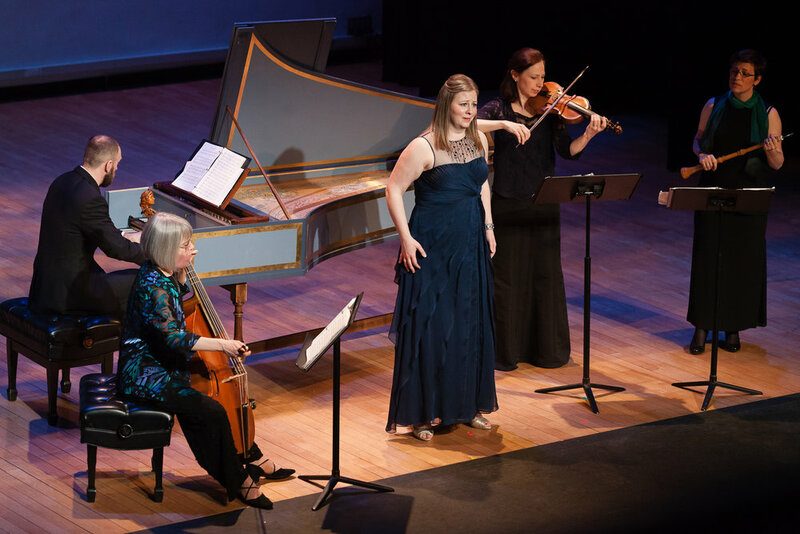 Presented by The Chamber Music Society of Lincoln Center. Members of the Danish String Quartet perform as part of the Late Night Rose concert series, presented by The Chamber Music Society of Lincoln Center. The Ginastera String Quartet Cycle. Presented by The Chamber Music Society of Lincoln Center. 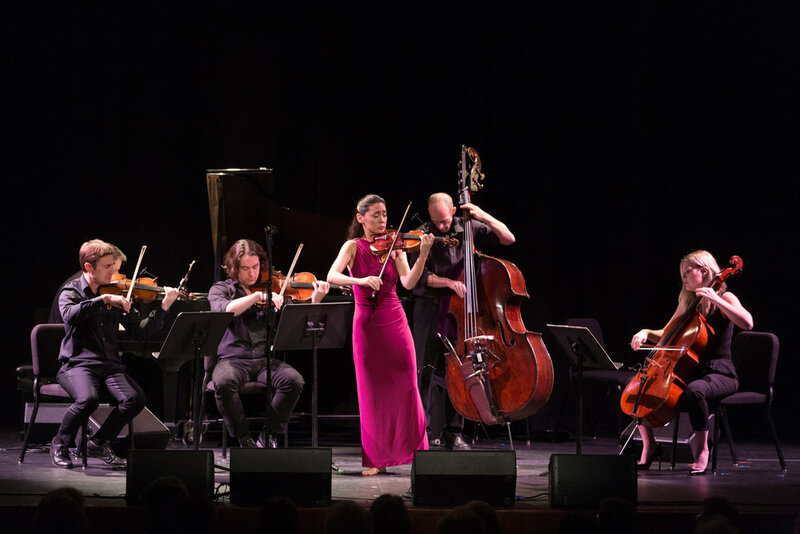 Members of the Orion String Quartet in a performance presented by The Chamber Music Society of Lincoln Center. The Art of the Recital: David Shifrin & Gloria Chien. Presented by The Chamber Music Society of Lincoln Center. 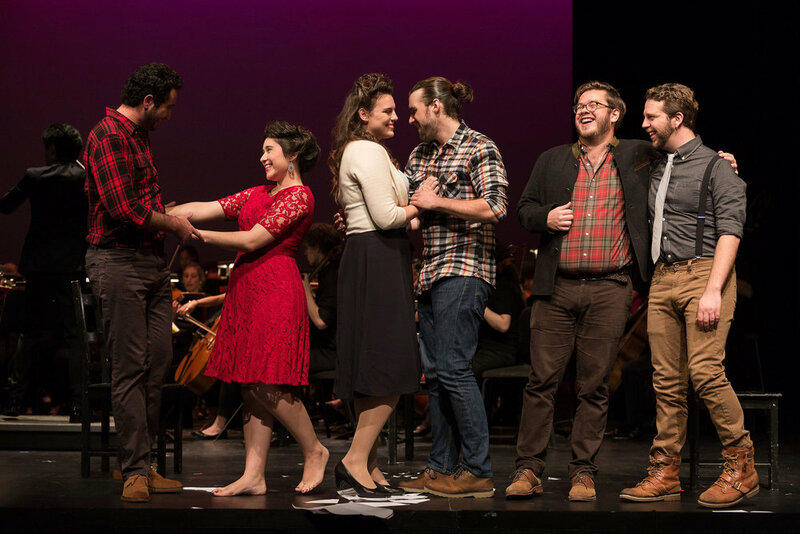 The Curtis Opera Theatre with the Curtis Symphony Orchestra, present a semi-staged performance of Puccini’s La bohème. The Curtis Opera Theatre with the Curtis Symphony Orchestra, present a semi-staged performance of Tchaikovsky's Iolanta. 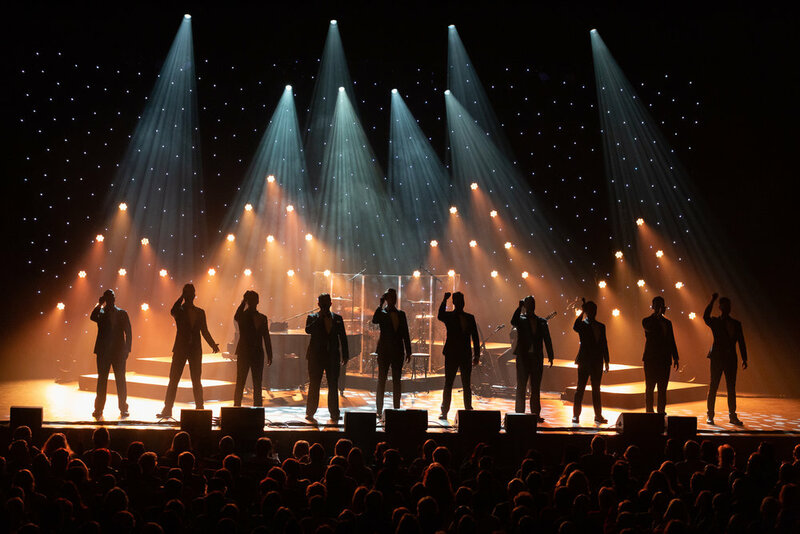 Ten Tenors. Presented by The California Center for the Arts, Escondido. Soprano Deborah Voigt. Presented by The Glimmerglass Festival. Actress and singer Ernestine Jackson performs in the 2012 Ladies Night Out concert series, presented by The Glimmerglass Festival. Stephen Schwartz. Presented by The Glimmerglass Festival. Third Coast Percussion performs a work by Augusta Read Thomas. Presented by the Miller Theatre at Columbia University. Cellist Matt Haimovitz plays the Bach cello suites in a campus performance presented by the Miller Theatre at Columbia University. Soprano María Valdés performs in New York Festival of Song’s Compositora program. Yarn/Wire performs during Composer Portrait: Michael Gordon. Presented by the Miller Theatre at Columbia University. Les Délices. Presented by the Miller Theatre at Columbia University. 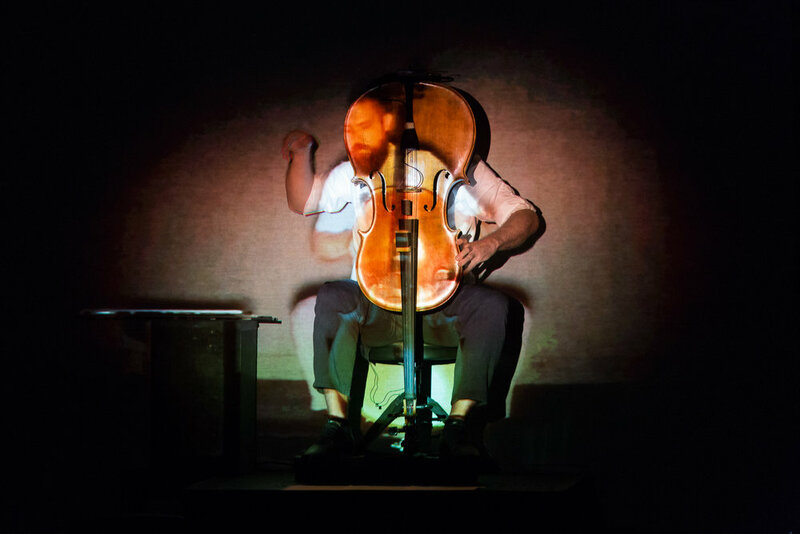 Cellist Kevin McFarland in “Run Time Error” performed by JACK Quartet. Presented by the Miller Theatre at Columbia University. Steven Schick conducts the International Contemporary Ensemble in a concert of John Luther Adams compositions. Presented by the Miller Theatre at Columbia University. Soprano Priti Gandhi. Presented by The California Center for the Arts, Escondido.